• The buffering model of social support states that effective social support networks lessen the adverse psychological consequences of stress. Among a large community sample (N=1,000) of Los Angeles County adults interviewed in 1979, life-event losses and perceived strain were positively related to depressive symptomatology, while close relationships and perceived support were negatively related to these symptoms. In all models tested, these effects were found to be direct effects, not interaction effects as predicted by the buffering model. 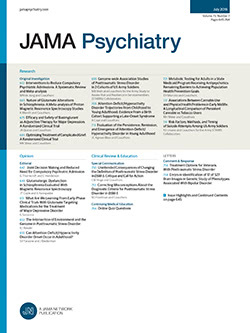 The effects of stress on depressive symptomatology were similar among those with low and high levels of social support. Social support, instead of merely protecting an individual against the negative impact of stress, may itself be Important in ameliorating depressive symptoms. Moreover, assuming that lack of perceived or actual social support is not just a manifestation of depression itself, our findings support the corollary that the lack of social support contributes to the creation of depressive symptoms.